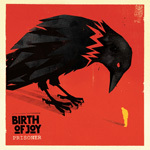 Warping back in time once more to the psychedelic Sixties is Dutch rockers Birth Of Joy with Prisoner, their fourth long player. 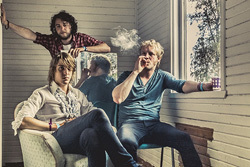 They band steals some thunder and lighting from the giants of the past, from The Doors to Pink Floyd, reveling in music from psych to blues to stoner to punk. And they do it with three players using guitar, drums, and old school organ. Birth Of Joy: smok'em if you got'em. Yeah, you read that right: BoJ uses the organ as principal player in the band. (For clarity we should not that keyboardist Gertjan Gutman also plays bass.) The organ totally retro, too, like within Holding On where it steals a page from The Doors or combining it with Dark Side of the Moon overtures within Three Day Road. With Longtime Boogie supercedes the guitar in the obvious, though guitarist Kevin Stunnenberg definitely gives Gutman a run for his money. 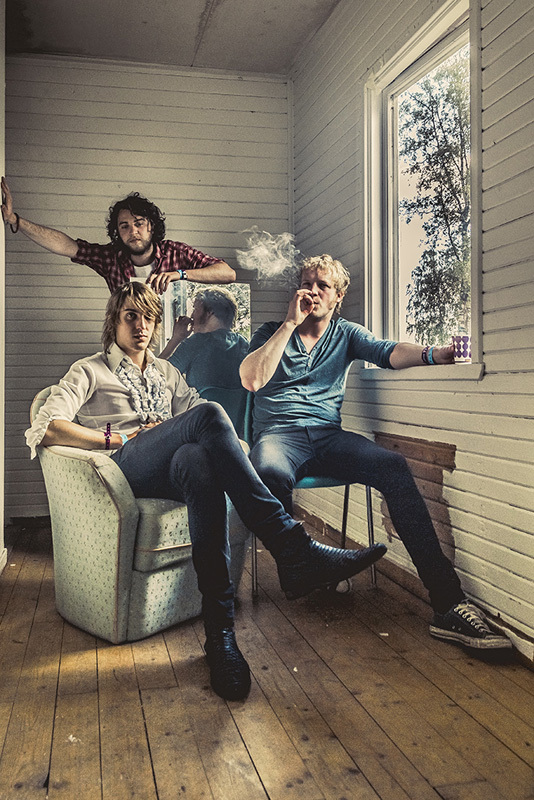 While most every song here has some nuance of psychedelia, some songs are simply heavy rockers like Keep Your Eyes Shut, Rock & Roll Show, and Grow, which is likely heaviest, rib thumbing, number here. The possible exception might be the closing piece, with grooves so deep you could use this song to break up fallow ground. Then there's some odd stuff here, like the title track, which sounds like a chain gang creeping along to sharp psych/stoner soundtrack. Maybe this is the heaviest number. Also there's How It Goes that, in parts, sounds like some crazy fusion of psych rock with swiftness of speed metal. After listening to Prisoner, I wanted to say this is rather original and creative stuff, and for the most part it is. Yet Birth Of Joy also is a hybrid, invoking, twisting, and embellishing music of their peers, both past and present. It's all good, and makes for a wild listening experience. Birth Of Joy is a psychedelic heavy rock hybrid, invoking, twisting, and embellishing music, psych to blues to stoner to punk, of their peers, from both past and present. It makes for a wild listening experience.